Sport courts, basketball & tennis courts, batting cages, golf putting greens, bocce courts, "ice free" skating rinks and more! Clients from Islip, Oyster Bay, Brookhaven, Southampton, Babylon and across Long Island turn to Designscapes Landscaping of Long Island to transform their front and backyards into award winning outdoor fun outdoor living rooms. If you are looking for a one of a kind landscaping transformation to entertain or just to relax, give us a call today and our outdoor living designers will get started for you! 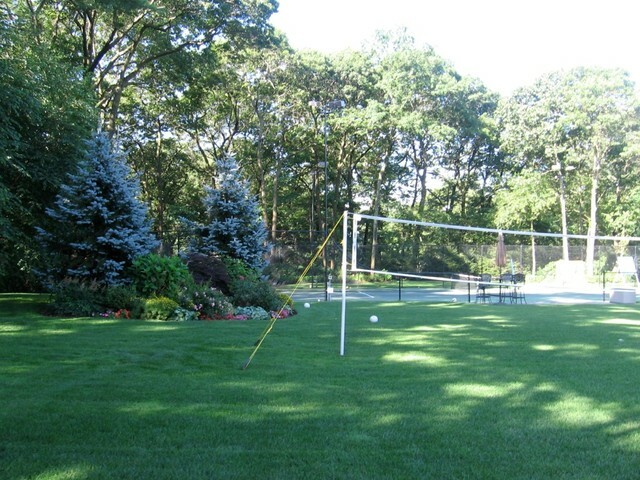 Volleyball and Badminton areas by Designscapes Outdoor Living Experts!